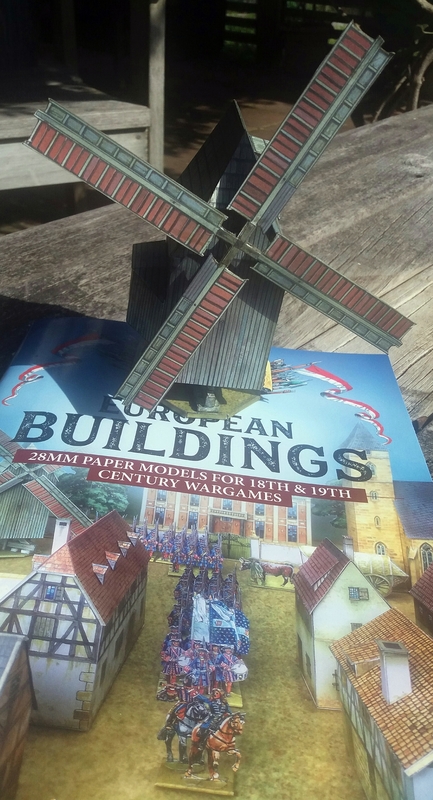 I’ve been quietly boxing on making some more of the cardboard models from Florian Richter and Peter Dennis’s book European Buildings: 28mm paper models for 18th & 19th century wargames. 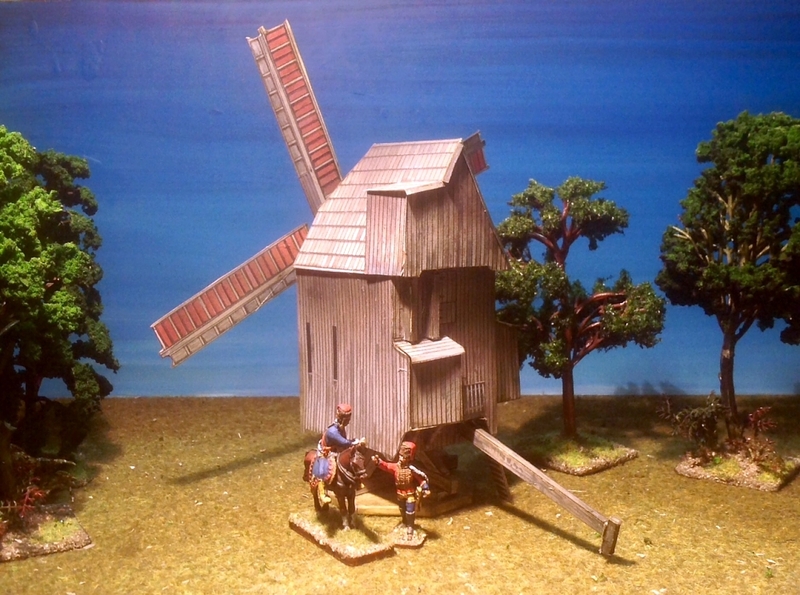 In addition to the windmill I have previously posted about, I now also have a mansion, a church, and a watermill. This impressive mansion will be perfectly at home as either a country house or a town hall. 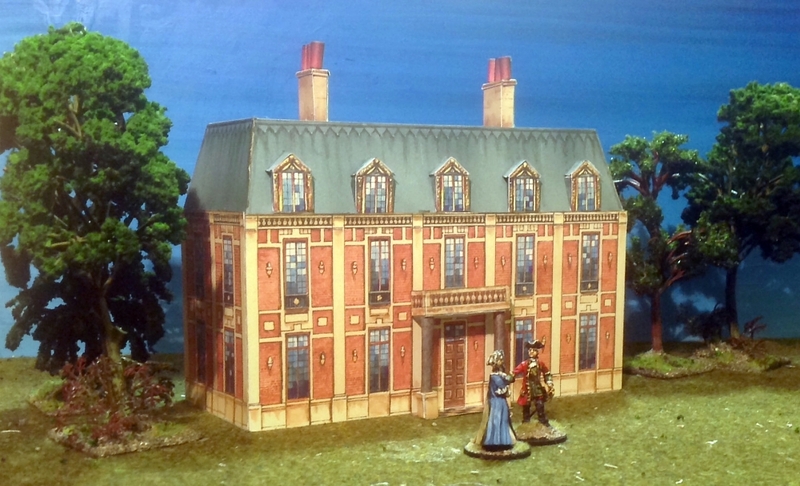 The book also provides roof connectors to so you join more of this model together to form a larger building – making the entire Palace of Versailles wouldn’t be out of the question! I’ve made this and the other models straight out of the book. The only additional work I have done was to strengthen the inner structures with some heavy card. 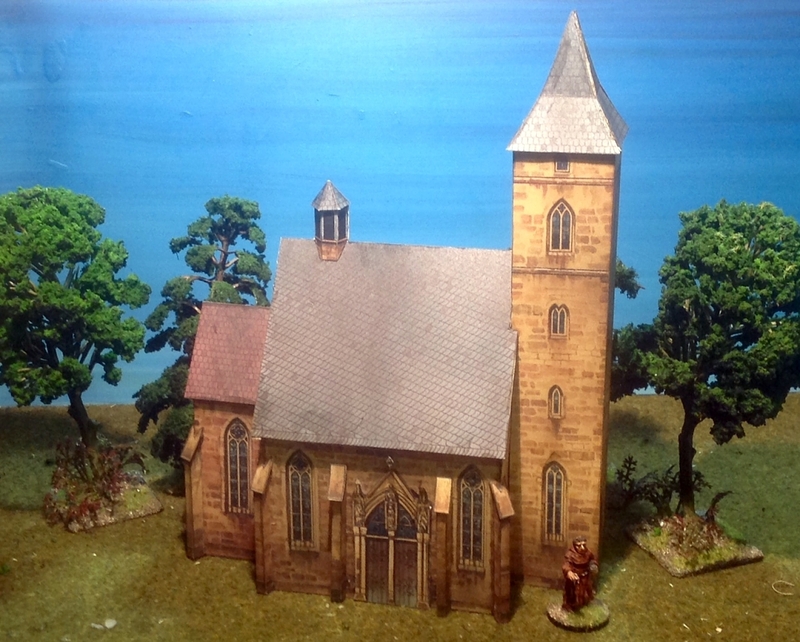 The northern-European church looks surprisingly solid for a cardboard model. I think it is the buttresses that make it so sturdy-looking. 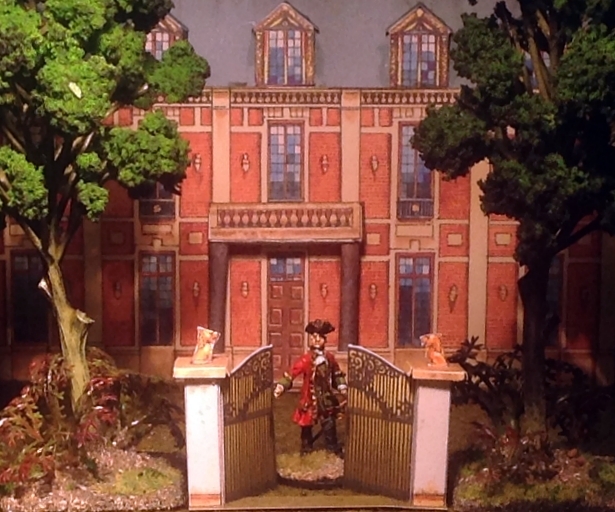 If you wanted to super-detail this model, you could cut out the windows and then re-inset them behind the holes to give more depth. However, the original artistry is so good that the windows look sufficiently 3D just as is. 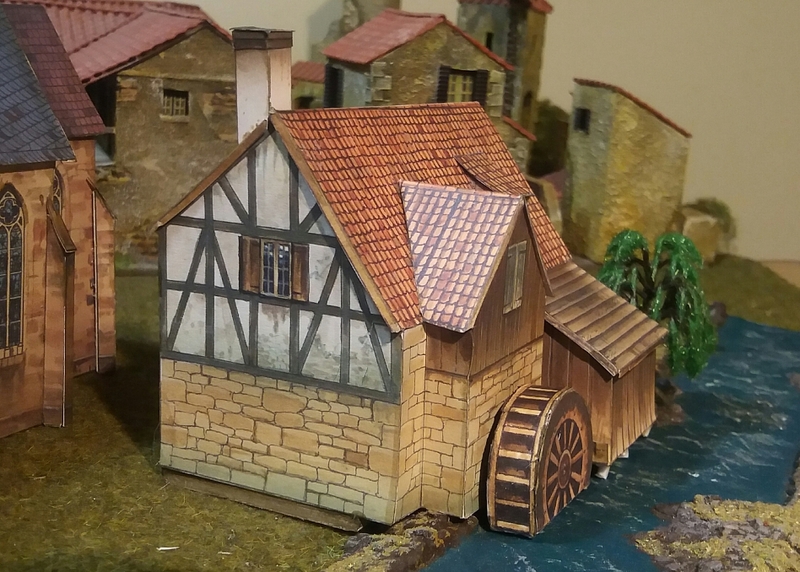 I did this watermill in one afternoon. I’ve made it fit with my existing latex river terrain by adding a foundation to the main building so that the wing with the wheel sits on the upraised bank, and the wheel itself hangs down ‘into’ the water. I also added some piles made from sprue to support the overhanging wooden outhouse. Here’s the first building I make from the book. It was probably a brave move to pick this one as my prototype, as it is the most complex. But it came out surprisingly well. Hi Roly, the buildings look gorgeous.